Yes, you should do your pelvic floor exercises and sign up for helpful antenatal classes – but there are some other pregnancy ideas you might have left off your to-do list. 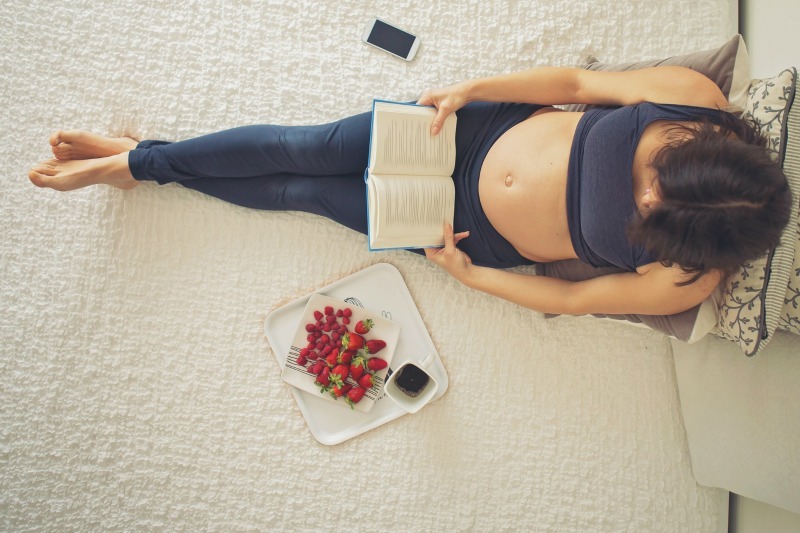 While maintaining your health and fitness (in ways that make sense to you) is very important during pregnancy, know that you totally have permission to rest as much as is humanly possible and make your bed your palace, too. Growing a human is exhausting. Balance activity with plenty of down-time, and really prioritise listening to your body. Note that learning to tuck yourself in with some hot tea, an interesting podcast or a brilliant documentary, when your body – and brain – need it is an excellent lifelong habit to establish! So do that, too. Rather than curiously tapping every little twinge you’re experiencing into a search engine, direct your queries to your friendly healthcare professional, instead. Now, you can use that reclaimed Dr Google time to … write about your pregnancy experience! After your little one arrives, everything will be about babies, so use this time to really look after yourself and do what makes you feel good. It might be a sweet-smelling sheet mask, fragrant candles or some gentle pregnancy yoga to keep your energy levels up and creaky bits at bay. At the same time, nourish yourself with nutritious food to give yourself plenty of fuel. In addition to your healthy and balanced diet, you might like to consider complementing your intake of beneficial bacteria with a probiotic like Life-Space Probiotic for Pregnancy and Breastfeeding that can help support your immune system, gut health and general well-being with its 15 strains of probiotics. There are heaps of things that require a babysitter once your bub arrives, so why not make the most of these pre-kid days and soak up lots of special experiences? 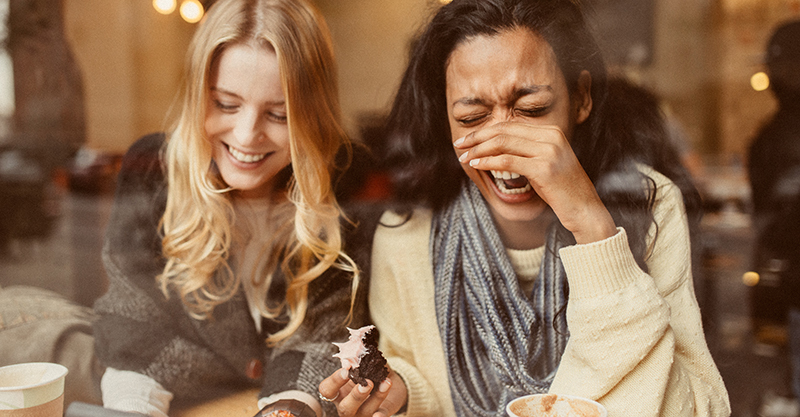 Not only is doing this kind of fun stuff spirit-lifting, it’s a chance to spend time with your favourite people as you prepare to enter an exciting new phase in your life. So go to the movies! See a play! Plan a girls’ trip! Go to a fancy health spa! Watch every Drew Barrymore film ever in one weekend! Spend a whole day at the city library! Doing a good job of growing and loving your child is the goal during pregnancy and postpartum. Yet, in this Instagram age, you could be forgiven for thinking that pregnancy is a more complicated competitive sport. Stop scrolling and noting what a ‘perfect mama’ looks like / wants / knows / buys and just do your best to be your own kind of mum. And don’t try to juggle the tricky bits alone! Remember those friends you hung out with as you ticked off the kid-free pregnancy bucket list from point number four? And remember how you weren’t going to try and be Insta-perfect, juggling everything seamlessly all by yourself at point number five? Combine both and let the village kick in. Not only is it important to let your friends and family know how they can help, it’s vital to note that having you and your baby in their life is going to be a rewarding experience for them too. Make being there for one another and ‘pitching in’ the default in your nearest and dearest group. Be specific about the things you need a hand with, and put your hand up when you’ve got the time and energy to help your besties too. #VillageGoals! This is a sponsored post for Life-Space Probiotics. Always read the label. Use only as directed. Supplements should not replace a balanced diet.